Vitamin E | Become Healthy or Extinct! 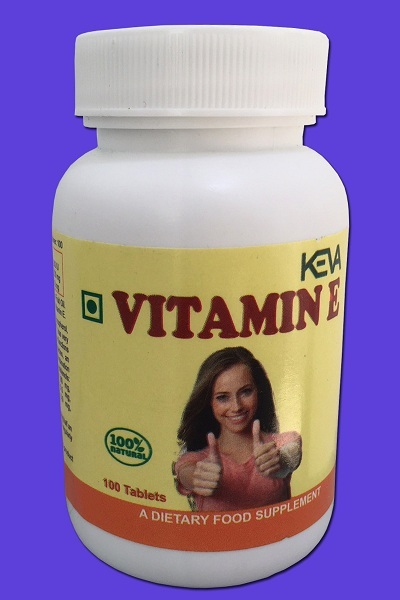 Description: Keva Industries has come up with Vitamin E Tablets which is HALAL & Kosher certified and has been produced under GMP guidelines. The most widely known health benefits of vitamin E are protection against toxins such as air pollution, premenstrual syndrome, eye disorders such as cataracts, neurological diseases such as Alzheimer’s disease, and diabetes. Directions for use: Take 1 Tablet twice a day morning & evening on an empty stomach or half an hour before meal. For better results please take 6-12 months.